ITM-Rush researcher Raj C. Shah, MD, wants you to be healthy and vital in old age. A big part of his work focuses on making the later years of people’s lives as fulfilling as those that have gone before. An associate professor in the Department of Family Medicine, Shah also is a researcher in the Rush Alzheimer’s Disease Center, which diagnoses, treats and seeks to prevent Alzheimer’s and other forms of dementia. “We have knowledge in the area of aging, and we’re working to translate that knowledge into treatments and preventions to help millions of people in this country and around the world,” he says. Shah designs and conducts intervention studies in community settings that evaluate methods of preventing, diagnosing and treating age-related conditions, particularly the memory loss that characterizes Alzheimer’s disease. This work in the community includes a concerted effort to include minority populations that often are under-represented in research. His scientific publications focus on lifestyle modifications that may help people grow old while staying free of disability. “There are factors people can affect,” Shah says. “We can’t change your age, gender, or your genetics, but there are lifestyle choices that can make difference.” Research also may make a difference, he adds, possibly leading to drug treatments or medical devices that can help. While Shah’s concerns include stroke, mood disorders and other conditions associated with aging, Alzheimer’s disease is the main battleground. A chronic neurodegenerative disease that causes dementia and predominately afflicts older adults, Alzheimer’s disease currently is unpreventable and incurable. Approximately 5.3 million people in the U.S. have Alzheimer’s, nearly all of them more than 65 years old. Unless treatments to prevent or cure Alzheimer’s are found, the number of people past 65 with the disease may triple by 2050, reaching 13.8 million and costing $1.1 trillion to care for them. The Alzheimer’s Disease Center takes a team approach to meet this challenge, bringing together geriatricians, neurologists, statisticians and biomedical engineers. “We all work together on a common cause, which is investigating complex issues that affect older people. We all share our knowledge and experience,” Shah says. He hopes this comprehensive approach can yield an equally comprehensive result. Shah’s ultimate aim is to develop a set of evidence-based interventions that would address not only memory loss, but also slowed walking speed, stroke factors and mood disorders in the elderly. Shah’s broad perspective reflects his eclectic background. Born in Tanzania and reared in west suburban Bolingbrook, he received a Bachelor of Science in Chemical Engineering from Northwestern University, attended the University of Illinois at Chicago College of Medicine, and completed his family practice residency at West Suburban Hospital and Medical Center in Oak Park. He can recall a “quite startling” moment during his residency, in the nursery at West Suburban, which sits right on the border between Chicago’s low-income Austin neighborhood and affluent Oak Park. Some of the babies in that nursery, he realized, would likely have better health over the course of their lifetimes than others simply because of what side of Austin Avenue they would grow up. That concern about health disparities drives much of his work. Shah oversees the community outreach effort of the Rush Alzheimer’s Disease Center — one of 29 Alzheimer’s centers in the U.S. designated and funded by the National Institute on Aging — and works hard to include people who don’t always take part in research studies. “Diseases like Alzheimer’s may affect all diverse people growing older in the United States and globally. However, most of the generalizable knowledge regarding risk factors and interventions has been discovered with participation by select groups of older adults. We won’t know why or what the best solutions are for other groups unless diverse older adults are included in research studies,” he says. Shah headed up a large recruitment effort in Chicago for the ASPirin in Reducing Events in the Elderly clinical trial (ASPREE), a landmark international study funded by the National Institute on Aging on the effects of low-dose aspirin on disability free longevity in healthy older adults. Because it thins the blood, aspirin is a promising, inexpensive treatment for common disabling conditions such as heart disease and cancer, but it has risks — it can cause excessive bleeding. Physicians have been prescribing aspirin for quite some time to reduce the risk of heart attack and stroke, especially after an event already has happened. “But we don’t have a great answer as to whether the benefits outweigh the risk in healthy adults, especially over age 70,” says Shah, who is the site principal investigator of the ASPREE trial at Rush. The seven-year study is now under way in the United States and Australia, with over 19,000 men and women already enrolled. Most of those people are white. Shah and other investigators in the United States were charged with finding 2,500 older African-American, Asians and Latinos, groups that have not systematically been included in studies like this one. Because the study cohort is diverse, when the study reaches its conclusions about the efficacy of low-dose aspirin, researchers can be provide better information on how it will affect a broad array of people. “Rather than guessing how it works in diverse older adults, we’ll have a more nuanced understanding,” he says. Given the diversity of older adults in the Chicago metropolitan region and a long history of engaging diverse communities, the Rush Alzheimer’s Disease Center was a top enrolling site for the ASPREE study. 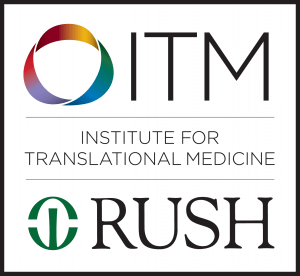 Shah had a head start in recruiting African-Americans and Hispanics for the study, thanks to several remarkable databases Rush has built up over years to support clinical research in the diverse community around it, including the Rush Minority Aging and Research Study (which still is accepting participants). Shah has provided support for that study and other research and capacity-building projects, including long-term studies of memory and aging in the elderly. 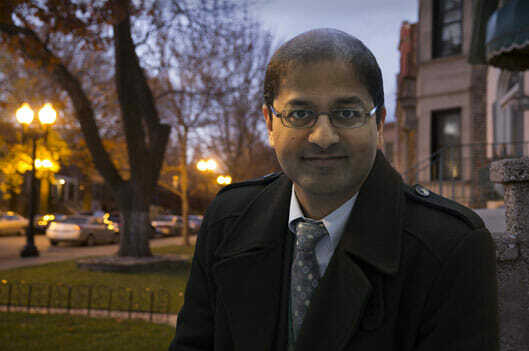 Shah also is Rush’s site principal investigator for the Chicago Area Patient-Centered Outcomes Research Network, a consortium of academic health systems and other health care partners in the area. CAPriCORN is working to enable these organizations to share large amounts of patient data — while also protecting privacy — so that researchers can conduct more effective, comprehensive studies. In addition, he recently has taken on an additional role as co-director of the Center for Community Health Equity, a collaboration between Rush and DePaul University that will address the damaging effects of social determinants of hardship on health.